• Masses: 8.25 a.m., 11.00 a.m., 12.45 p.m.
• Confessions: 3.00 – 4.00 p.m.
• Chapel closes at 4.00 p.m. and re-opens at 11.00 p.m.
• Midnight Mass: 12.00 a.m.
• Chapel opens 11.00 am – Masses: 11.00 a.m., 12.30 p.m.
• Exposition of the Blessed Sacrament: 1.15 – 7.00 p.m.
• Chapel closes after 7.00 pm Mass. • Chapel opens 10.00 a.m.
• Masses: 11.00 a.m., 12.45 p.m., 5.15 p.m.
• Rosary and Benediction: 8.00 p.m.
• Chapel closes 6.00 p.m.
• Masses: 11.00 a.m., 12.30 p.m., 5.00 p.m., 8.00 p.m.
• Rosary and Benediction: 4:45 p.m.
• Bread of Life Prayer Meeting 8.00 p.m.
• Rosary and Benediction: 4.45 p.m.
• Masses: 11.00 a.m., 12.45 p.m.
• Confessions: 3.30 – 4.00 p.m.
• Chapel re-opens 10.00 p.m.
• Solemn Mass for the New Year: 12.05 a.m. NOTE: Mass office is closed from 2.00 p.m., Thursday 24th December 2015, and re-opens Saturday 2nd January 2016. 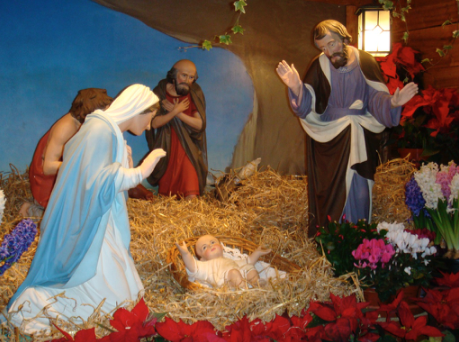 Remembering all our friends in a Novena of Masses beginning on Christmas Day.